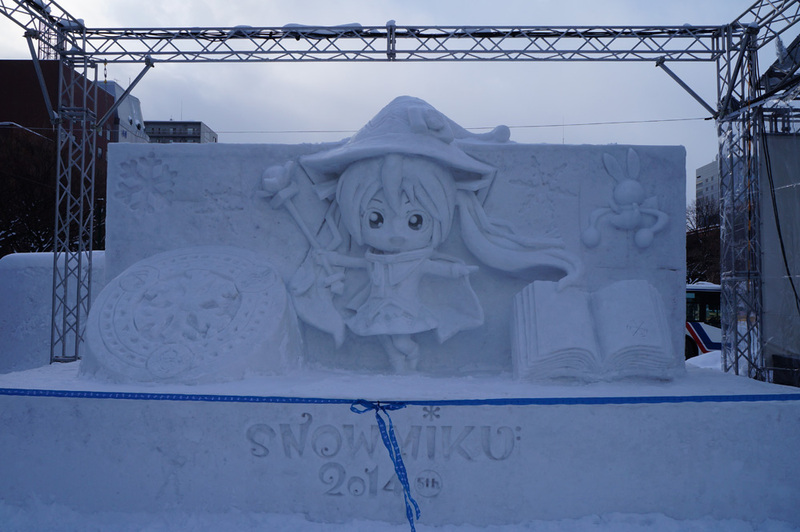 An anime or otaku pilgrimage is when you visit the places anime take place in. For example, Durarara!! takes place in Ikebukuro, so prowling the streets and looking for familiar landmarks seen in the anime would be an anime pilgrimage. It’s almost eerie to physically stand in a location you’ve only seen on your computer screen. It holds so many memories and so much meaning, and yet this is your first time actually being here and not just living vicariously through a made-up character. I recently went to Japan for 2 weeks and essentially just accidentally ended up at places where some shows I like happened to take place. I ain’t even gonna try and pretend like I planned it out – it just conveniently worked out this way. So, are you ready to see if things look just as great in person? I’ve been informed (by a certain sky lion) that Tari Tari, Hanayamata, and Psychic School Wars also took place there. So Enoshima is quite the popular setting. But I’ll always remember it through Tsuritama. Not just because I love Tsuritama, but because the culture and geography of Enoshima was always a huge part of the story. Tsuritama proudly displays the island life on Enoshima, the love for fishing, and their specialty dish: the shirasu don. There’s nothing but love for Enoshima in this show. Plus, it’s hard to forget where a show takes place when the main characters scream “ENOSHIMA DON” at least once an episode. And if you still forget all about Tsuritama, there was recently a little throwback reference in Gatchaman Crowds so now you have no excuses! As one of the best places to get photos of Mount Fuji in the distance, I was disappointed that we arrived on a cloudy day where we couldn’t see a thing. We managed to have fun nonetheless checking out shrines, taking cable cars up and down mountains and renting a duck-shaped paddleboat to get a better look. It was only afterwards that I found out this was the setting of the mind-blowingly famous Evangelion. I thought it was odd they had NERV vending machines, but I just kind of waved it off as a regularity since Japan has a plethora of kooky vending machines. It’s also where the hotsprings fairy from the upcoming Fall anime Onsen Yousei Hakone-chan comes from. I’m so ahead of the curve going to settings of hot new anime that haven’t even aired yet! I didn’t go to any hotsprings, mind you, but this will have to do. How did I not make this connection earlier? Thankfully we were at the opposite end of where that Angel is attacking! I’m almost surprised that Shizuo wasn’t running around throwing vending machines. The entire area make me feel as if I were walking through the set of Durarara!! – so much so that I wasn’t sure which streets were actually in the show and which ones just felt like they were. This is where we rented our apartment so we spent a lot of time walking the neon-lit streets of Ikebukuro at night after long days of sight-seeing. And let me tell you, Durarara!! really does this lively place justice. Check out the building on the left! No surprise that I caved in and bought one. Spoken like a True Canadian….but honestly, was it really that bad? But more importantly…where was Shinobu? LOL! When I initially saw the announcement for Onsen Yousei Hakone-chan – which I will probably end up covering, but who knows – I was thinking, “They will so do soooo many send ups of Evangelion”. Given how they promote the cities in the anime in Japan, I’m surprised you didn’t see an Yousei promotion, but I guess it was a bit to early for it when you were there? I’m actually surprised they wouldn’t advertise it in advance either. Although Hakone is a bit of a sleepy place though so maybe it would take a lot of money and persuasion for them to actually implement those kinds of campaigns. Evangelion is crazy popular enough for those vending machines to linger even now, thankfully. Three levels of Toranoana dedicated to *bleep* One completely for ladies. 7 floors of exotic-lifestyle goodies just outside akiba station. Actually my favourite places in Japan are in Hokkaido. Gamers I like because I like the mascots. -nyo. Oh, how I greatly envy you for walking the land of the Rising Sun and those extra pics add salt to the wounds. Life’s not fair!! *sobs* Anyway, it’s real cool how some animes use real world locations for their stories and I remember there being a MetaVerse podcast on this very same topic. If Ikebukuro in real life is as wild as Durarara! !, I wouldn’t mind living there. I’d simply keep my distance from any unrepentant sociopathic information brokers while they’re escaping from short tempered superhuman bartenders. Not going to any hot springs feels like a shame, though. Those opportunities are small. The anime Burst Angel used Tokyo and Osaka but the former was the dominant party. Seems you didn’t go to Tokyo. If you did, you’d consider yourself lucky you didn’t run into any Ghouls or you’d have been someone’s late night snack. 😛 The Grim, Disgusting Magic of Tokyo Ghoul That aside, I’m sure you’d visit Tokyo Tower. Mister Donuts exists? Impressive. Now if only Shinobu would conveniently walk by. Now if only Shinobu would conveniently walk by. She’s probably hiding in my shadow angrily because I gave Mister Donuts a bad review so I just can’t see her…until she strikes. Then you’d best not let your guard down because she’ll drain you until there isn’t a single drop of blood left. Never insult where she gets her donuts. I saved up my money running experiments on people at the lab! Seriously! It’s impressive how anime not only use real locations, but they copy things right down to the stores (using names where possible) and every nook and cranny of geography. That must take a ton of research, even if you’re a local. Ikebukuro is pretty wild, but it doesn’t have the same amount of fighting as Durarara! !, that’s for sure. You’ll be safe! Dunno why but Shibuya and Shinjuku did not live up to their reputation for me. Really, Shinjuku wasn’t crazy enough for you? Did you go at night or during the day? He did say one time that he was a night owl. So it’s fairly easy to figure which he’d go with. Glad to see you enjoyed yourself, Overcooled!! I went on a Tokyo trip last year, although it couldn’t really count as an animanga pilgrimage. But, you do see a lot of sights there, like the skyscrapers of Shinjuku’s business district where Maou faced off against Sariel. Sorry you couldn’t see Mt. Fuji’s summit though. It’s amazing, especially when it’s all snow-covered like a conical wedding cake. Speaking of Ikebukuro, I recall the wildest thing I saw there was a group of cosplayers dressed as a NEET special forces unit, complete with fake guns (perhaps they should be included as a new faction in Durarara!! ), and how many people were visiting the Animate store there. Which other parts of Tokyo did you visit? I stayed in the Ginza area. Although no magical Gates to other worlds appeared there, I did enjoy being in a very genteel, well-dressed, kimono-clad (and fairly expensive) part of Tokyo and people-watching there. Definitely more orderly than say, the drunkenness and bouncer fights you see in Shinjuku’s entertainment side. Thanks so much! I didn’t set out on a pilgrimage, it just kind of…happened…and in retrospect when I looked over my photos, I found that I had enough material to make a post from it. Almost anywhere you go in Tokyo could be the setting of an anime. Wow, never saw anything like that in Ikebukuro. Cool! Although I did see huge crowds at Animate (tried to book a table at the Free! and Yowamushi Pedal cafes and uhh it was impossible) and people dressed as power rangers picking up trash in Shinjuku. We visited Harajuku, Shinjuku, Asakusa, Asagaya (for the tanabata festival! ), Akihabara, Shibuya, Iidabashi, Ginza and a bunch of places around there as we walked around. We mostly. Ahhh Ginza must be a nice place to stay. So fancy! And tons of department stores around if you want a snack. Sounds like a good choice! But, you do see a lot of sights there, like the skyscrapers of Shinjuku’s business district where Maou faced off against Sariel. So much destruction took place in that fight. It would’ve been quite the mess if that happened for real. Maybe I will one day post these pictures, but I did go to the same park where The Garden of Words takes place. But then again, I didn’t go when it was raining so I guess it was all for not? I’m glad you had a good time. You certainly picked some cool locations to visit. I’m a city boy, myself, but Hakone actually looks quite beautiful. Thanks! To be honest, I’m a city person too and only ended up going there because of my nature-loving boyfriend. I would have never picked it myself but I ended up really enjoying it! Enoshima especially! Alas, the entirety of my time in Japan was spent on the island of Kyushu. Not a place that gets a lot of air-time in anime. Which is too bad. It’s really quite scenic.